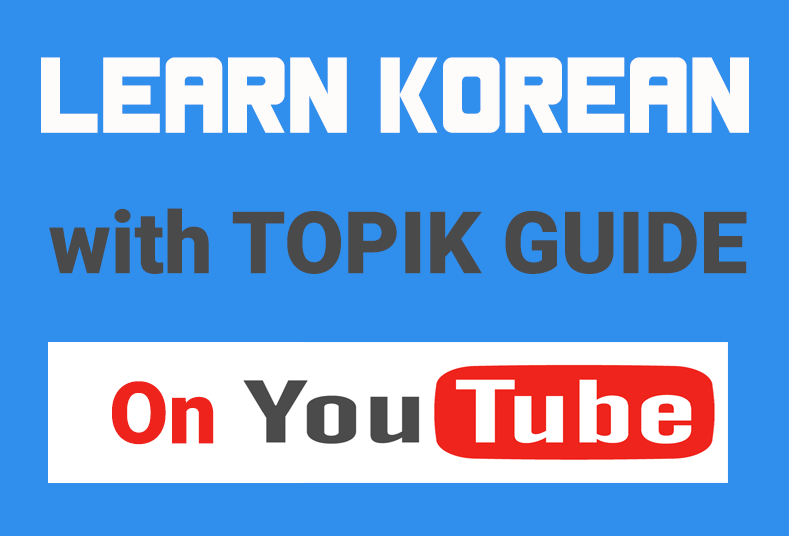 In the first part of TOPIK TIPS, we gave you some tips on how you should study for TOPIK test. In this part, we are going to share with you 15 tips and strategies that will help you get a high score in the TOPIK test. Don’t spend too much time on difficult questions– They intentionally put some really difficult or tricky questions in the middle of the papers. Don’t waste too much time on them, just make a smart guess and move ahead. If you have time remaining in the end you can go back to those questions. Make a strategy in advance about which section to attempt first- There is no single strategy that works for everyone. While solving TOPIK papers for practice, analyze which strategy works best for you. Sometimes solving a particular section or type of questions first can make a big difference. Don’t color the answer sheet after every question- This is an unusual but very important tip. While solving TOPIK papers during practice you can notice that you save a few minutes if you color the answer sheets after solving every 8-10 questions rather than coloring it after solving every single question. So we would suggest you to just mark the answers on the question paper itself and color the answer sheet when you have got a good no. of answers piled up. But be careful! Make sure you are marking the answers correctly. If you make one mistake all your subsequent answers can be wrong. So, always double check the question numbers. Don’t jump on conclusion after just reading the first out of 4 options – The answer options in the TOPIK papers are really tricky. Sometimes they are very similar and more than one answers may seem correct. Keep in mind that you are supposed to choose the most appropriate answer. So make sure to read all the given options and then choose the most appropriate one. Read the Instructions very carefully- Especially for the questions with “Choose the right/wrong (맞는/맞지 않는 것) .” Sometimes students just see the first option, they find it perfectly correct and mark it as answer but actually they were supposed find the wrong answer/statement. Focus on 여자 and 남자 – In the listening section of TOPIK test a lot of questions have a conversation between a male and a female character. Some of these questions ask what the 남자 or 여자 is saying in the conversation, or what will he or she will say or do after this conversation. In such question read the instructions carefully and focus on 남자 or 여자 part according to what is being asked. Don’t think about your girlfriend/boyfriend during Listening Section 😉 – Losing your concentration for only a few seconds may spoil a good part of your listening paper. So just close your eyes and concentrate on the sound. It really helps to read the question and answer options before you hear the question dialogue audio. Some dialogue audios are played twice. If you are able to find the correct answer after listening to the audio only once, utilize the remaining time to read the next question in advance. But you have even slightest doubt about your answer always listen second time as well. Be careful about listening dialogue audios upon which more than one questions are based- Sometimes more than one questions are based on one dialogue/audio. Many test takers are confused in such questions. So see the instructions carefully and be ready to look for the answers to both questions when listening to the audio. Take notes while listening to the audio – Sometimes there are data and facts in the questions that are very difficult to remember even for a short amount of time. So use the blank space on paper and keep taking small notes of important numbers and other details. You can also use this technique while solving the long paragraph questions in Reading Section. Always use the plain or formal/polite form of sentence ending- In the essay writing section you should always write in Plain diary form (다/ㄴ다/는다). You can use the formal polite ending (ㅂ니다/습니다) if you find plain form difficult. But never use the casual spoken form (아요/어요) or lower form (아/어) of language. And also please do not mix two forms (e.g. – ㅂ니다/습니다 and 아요/어요) in the essay. Make an Outline before starting to write TOPIK Essays – It is always a good idea to draw a brief outline of the essay before starting to write. Spending 1-2 minutes planning your essay and making outline can fetch you a much better score as it will make your essay much more coherent. The short essay can be written in just 1 or 2 paragraphs but still writing 2-3 points on how you will start or end it and how will the flow of idea be can make the writing much better. The bigger essay is really a crucial part of the TOPIK test. This one essay can boost your TOPIK score to a level higher. This essay is supposed to have 3 parts – 서론 (Introduction) , 본론 (Body or supporting facts and arguments) and 결론 (Conclusion). Put some effort in writing 1-2 good introductory sentences and a strong conclusive sentence. They will improve your overall essay score. Never leave an essay in the middle abruptly. Even if you don’t have any time left, make sure that you write the conclusive sentence. This will make your essay look complete. Have patience and remain focused in Reading section – The Reading section of TOPIK tests your patience and focus more than your Korean language skills. It has a huge number of questions (50) and as you move ahead the texts seem to get more difficult and lengthier. By half of the paper, some of you would be already beyond your maximum Korean intake capacity for the day and may be feeling dizzy. 🙂 Your poor tired brain will start persuading you to give up but if you are able to keep concentrated for just a few more minutes it can really change your TOPIK score significantly. In fact towards the end of the paper, the length of the texts increase but the difficulty level doesn’t increase in that proportion. If you can remain focused, you can easily solve many questions. Do not waste money on guide books – When it comes to studying for TOPIK test, self-study is the key. You do not really need any guide books for the best. You just need to have your grammar and study material well organized, analyse the question patterns of past TOPIK papers properly and practice solving papers with your grammar and vocabulary notes. If you are too lazy to do all this, you can purchase TOPIK GUIDE Self-Study Package which has all the grammar and vocabulary study material organized in proper folders, all the past papers with answer keys and video tutorials analyzing and explaining TOPIK question patterns and strategies to solve them. If you purchase this study package, we also offer you free TOPIK Essay analysis and feedback service. You write an essay on any of the topics from recent TOPIK test papers, send it to us and we will get it evaluated by our TOPIK experts and send you a detailed feedback along with suggestions for improvement. You can purchase this study package from THIS PAGE. Don’t bring anything to Exam Hall except your admit card and a pen – I have seen many test takers bringing colorful pencils, gel pens, sharpener, eraser, ruler and even books and dictionaries sometimes. 🙂 Believe me, last time study of vocabulary and grammar will make you no good, it will only stress you up; so leave those bulky books and notes behind in your book shelf and instead crack some jokes with friends when you are waiting to hear the start bell. Probably they will not allow any stationary into the exam hall. You have to color the OMR answer sheet with a special pen that they will provide you. If you make any mistake and want to change your answer, you just have to raise your hand and the invigilator will come to you and remove the wrong mark with whitener. You may need a pen for the essay writing section. if u get some free time come to my blog/shiva12877.blogspot.com. Plain form is always a better and preferred way for writing essays in exams. So not only you CAN but in fact you SHOULD write in plain form. I have a question. If you’re taking the beginner level CAN you write in plain form or are you expected to write in ㅂ니다/습니다? Yes, all the guides say so because most of the beginner learners don’t know how to use plain form properly and examiners know it as well. So ㅂ/습니다 form is equally acceptable at beginners level. Thank you for commenting. I’m used to writing in plain form (unless I’m writing an email to my sister-in-law, for example). But since all of the guides show the 습니다 form for the first level, I thought maybe it was expected for that test. I’m self-studying all the way and have no teachers to ask. Thanks so much for making such a great blog! I’m going to take the intermediate TOPIK in April but right now I am not doing very well at taking the practice tests. They take me a very long time to complete and I have too many wrong answers. My problem is that I’m very good at speaking, but not very good at writing, grammar and reading. But, the whole topik is based on all my weak points!!! Keep posting more here, I’m going to be following from now until I take the test!!! They give you a black computer marker pen to mark the answers in multiple-choice questions. for ‘writing’ questions you need to carry a pen/pencil. You can carry a whiteout tape yourself but for those who don’t carry the invigilators have it. you just have to raise your hand, invigilator will come and correct your wrong marking. —— Here they are just explaining how to correct your writing mistakes. If you have used a pencil you can use eraser and if it’s with pen either you should use whiteout tape or just draw two lines over the mistake. “- Whiteout tape can be used to change an already marked answer. So: I can take with me pencil and whiteout tape? Wow, very useful topic you have raised here. I love your articles. Nicely presented information in this post, I prefer to read this kind of stuff. Great work! You are the best tip of my korean language. Thanks but u didnt send previous papers yet although i shared my mail. Hi Satish, first of all thanks for this awesome blog! I did what you mentioned for the first paper by writing my composition before doing the rest of the paper and I can say it really did help! And I’d also like to add a tip for fellow TOPIK candidates, if you don’t mind. I just did my test today, the 26th one, in Singapore. I find that while doing the listening and reading component, there are a lot of pauses in the audio recording. I used that time to start on the reading questions at the back and that helped me a lot later on while the other candidates around me were rushing. So I’d recommend doing that as there is really a lot of extra time. But at the same time make sure to focus on the listening more than the reading; the listening gets priority and if you miss it both times you won’t get a chance to listen to it again. So yeah, that’s what I’d recommend 🙂 Thanks again for this wonderful blog! Hey, thanks for your help on this site. I’ll be writing my first TOPIK (중급) test this Sunday, and I’ve been studying really hard for it. I’ve done every 중급 test since number 15 on my own (always getting scores between 70-80%, so I’m feeling good about this weekend. I have some questions, though. With the listening test – are the questions just broadcasted to everybody over a large speaker, or do we each have individual headphones? Also, say I make a mistake on the score sheet (or whatever you want to call it). I just put up my hand and somebody comes to fix it? It it complicated? 저는 논술문제를 답하면 항상 이런 식으로 쓴다. That form is okay? My girlfriend says that 저는 should always be followed with 습니다… and I say that it doesn’t… and then we get into fights about who is the native Korean speaker, haha. You are doing great… You will surely be able to get a high score in TOPIK Intermediate…. And about the form of language to be used… That’s a very good question.. Thank you for asking that. I thought this may be relevant to other TOPIK GUIDE readers as well; so instead of replying you personally i thought of writing a small post on it. you can check it here.. https://www.topikguide.com/2012/07/which-form-of-language-to-use-in-topik-exam-formal-plain-or-informal.html All the best! using whitener for making corrections is perfectly okay… Don’t worry…. Hi plz how to download previous test paper. I have an important question. I´m taking my first Topik ever in 5 days and I did the mock test today and it said “excellent you´re ready for level 2” but I couldn´t believe it and than I counted the right and wrong answers. I had 14 wrong and 17 right. Was there a mistake in the system or would I really pass with that points? These tips made me more confident. Thank you very much. I took Topik yesterday and I think I just passed the listening part so if the reading part was really as bad as I had expected, than I probably failed. But your Preparation was really helpful. Thanks a lot for this tips.it is good to me to know for how to get a high score in the topik.I think it is one of the big factor to pass the topik.to the author of this tips.more power and may God bless u and your family.thank you! I am planning to do a Graduation degree from Korea next year. I need to clear TOPIK level3 as most of the universities are asking for the same .I am currently learning level1 in one institute in Pune but here there are not so many institutes and classes for Korean language .I am not even sure if they will have classes for LEVEL 2 or not.I am really into learning this upto that level. Can you please share some details for preparation and how should I manage .I need to clear this levels by July-August next year so that I can apply there . I want to pass the exam.